Bus tours are a popular way where visitors can have a glance at the tourist attractions available at the destination. Factors such as quality of service, training, condition of buses and such have a significant impact on the traveler experience. Depending on the country and the tour operator, the experience of visitors varies widely. Many of the large tour operators offer a packaged tour as part of an all inclusive trip. Other tours can be booked through hotels in major cities. 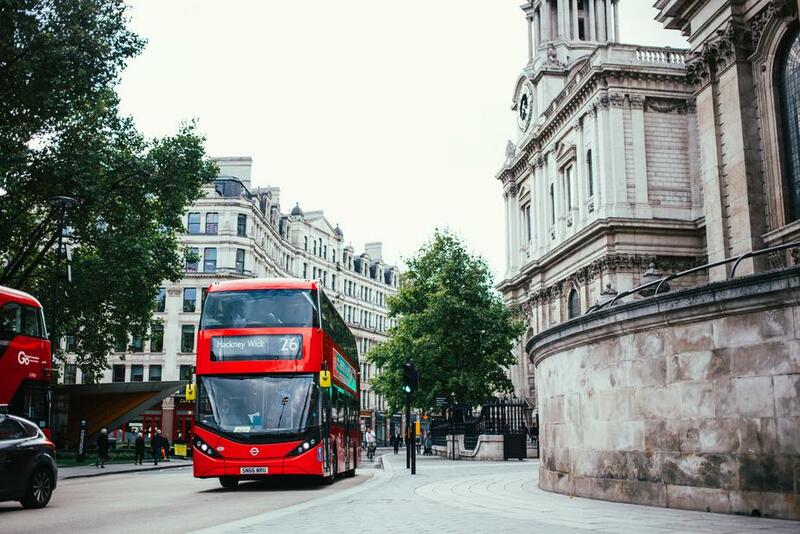 Some cities like London, England offer hop-on, hop-off bus tours that some find convenient. Double-decker buses and open top buses are commonly used for these tours. Our focus in this article is on prepackaged bus tours. These offer itineraries arranged by the tour operators. They are usually a one-size-fits-all deal. The convenience of letting someone else handle the detailed arrangements is attractive to seniors and families with children. The more adventurous millennials and Generation Z folks tend to avoid prepackaged tours for reasons explained below. Prepackaged tours bundled with your trip can be an economical way to see what the destination offers. Keep in mind that you will get more memorable moments from the things you see and do outside your five star hotel. The Basics of Costs : The operating costs of running a prepackaged tour is fixed by the cost of transportation, staffing, including bus driver and guide costs as well as overheads. To cover costs, the tour need to have a minimum number of participants. For optimum profitability, the tour operator must fill the bus to capacity. Every empty seat is an opportunity cost which means lost profits. Captive audience : Once you are signed up for a bus tour, the operators know they have a captive audience. Participants must go along with whatever comes with the tour. While older folks are more prepared to do so, many others have posted dissatisfaction with some of the practices they encountered. Salaries and Commissions : In busy tourist periods, many of the staff hired by the tour companies are temporary or part time. Hours are long, schedules are uncertain, pay fluctuates and is seasonal. Staff turnover is high and complaints about management are rampant. Except for bus drivers, career opportunities are limited. Wages paid are generally low, training is limited and some are required to upsell extra items to earn commissions. Many stories of vendors who are allowed on buses to promote their goods or services permeate the web. Lineup Time : If it’s an excursion trip, all participants usually gather at the starting point at the designated time. The wait time for embarking on the tour bus is minimized. Prepackaged tours, however, are sold to participants who stay in different locations across the destination. The tour bus driver must gather them by making the rounds of the various locations where the visitors have booked their stay. You can sit on a tour bus for over an hour without doing any touring! Kickbacks : The competitive nature of the tour operator business has given rise to practices designed to earn them extra revenue. 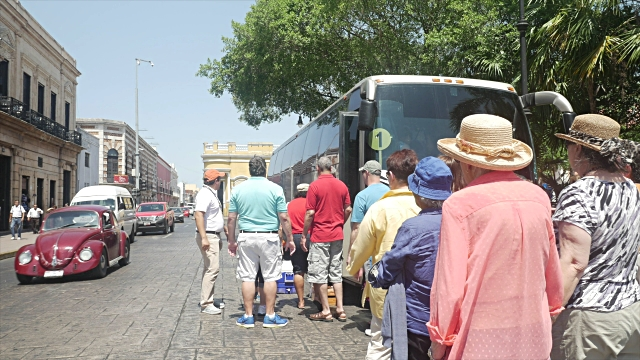 Much to the dismay of participants, some tour operators have agreements to include stopoff at souvenir shops, restaurants and other vendors with whom they have an arrangement for kickbacks. Cheaper is Not Better : Most of these bus tours are not necessarily cheap as they include commissions of various middlemen involved. So what may look like a good deal may not necessarily be true. From experience, tour operators know how and where to cut the corners to come up with the deal. They have been doing this for decades but there is growing competition that forces them to look at other ways to cut costs. Some of the newer alternatives usually offer better options as explained below. Popular prepackaged tours generally include a mixture of tourist attractions, restaurants and shopping stops. Multi-day tours could cover different types of activities like museums or special attractions and sometimes touring of more than one city. The Schedule : Itineraries are fixed and the tour conductor must adhere to a strict schedule. The strict times allotted at each stop is often a challenge as some are prompt and others move more casually. The driver must ensure all are aboard for the next hop of the tour and this often results in delays and unhappy passengers. The Stopoffs : Packaged tours take you to the same tourist attractions that you could find with a local guide. In these predetermined itineraries, participants are unable to change where and for how long the tour bus stops off at a particular place. You go when they say you go, you do what they say you do and you see what they say you see. It’s kind of like those school field trips. You may want to try some local dishes but could only do so on your own. Or you may want to linger more at a particular museum or skip a shopping stopoff altogether. The strict itinerary is inflexible and does not allow for any such changes. Lack of Cultural Experience : Some bus tours provide commentaries of historical sites as the bus drives by them. The tour is sometimes given by the bus driver, an on-board tour guide or sometimes using a prerecorded set of commentaries. There is limited or no opportunity to interact with locals or get a more firsthand experience with the local culture. Contingencies : Things don’t always go according to plan. Buses get caught in traffic, they move more slowly in heavily populated areas, the weather changes or there is an accident on the route. While there is little anyone can do to remedy such situations, there are alternatives that could circumvent them and reduce the loss of valuable vacation time. The Unavoidable : While many travelers meet other interesting people on these tours, there is a downside that could spoil your tour. Stuck on a tour bus, sometimes for many hours with fifty or more strangers, you have no choice but to put up with others’ nuances. Unmannerly members, lack of personal hygiene, people who make you miserable, some who smell up the bus, loud mouths and the list goes on. They can upset you enough to ruin your tour. Count your blessings if you escape these on your tour. No Personalization : Because of the number of people on the tour, there is little opportunity for personalization. Don’t expect to get answers to questions you may have about something you saw on the tour. The bus driver or tour guide are unable to offer attention to anyone besides a cursory remark about your question. Tourist traps are places where you are taken during the tour that have the sole purpose of exploiting your pocket. They thrive on numbers and one can be easily deceived by the high number of visitors. I already explained this in the section on ‘Stopoffs’ above. The lineups are long and you don’t want to waste your precious vacation time. While it is difficult to please every one of the sixty or so people on a bus tour, there are ways to identify these traps before you book your tour. You are already there? Follow the locals, ask a cab driver or local. Beware of hustlers, they see you as an easy prey. onsider the benefits of hiring a private local tour guide. See here for overrated places to visit. Travel smart and insist on connecting with real local culture.